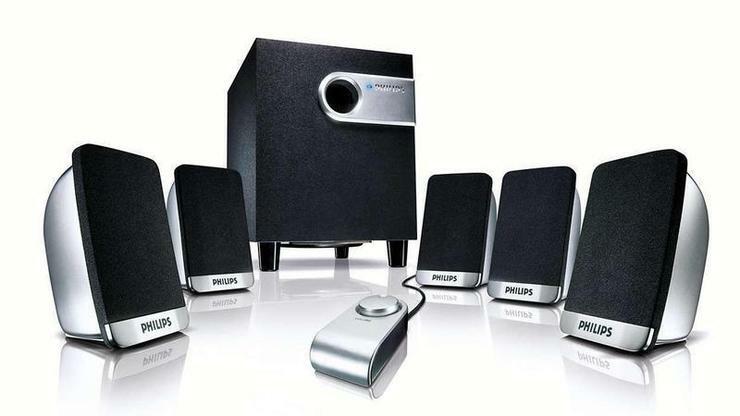 Surround sound is a fantastic addition to add to your PC to make your media consumption that much more consuming. We run through the steps you'll need to take to get it set up on your PC. Surround sound is a beautiful thing. It’s one of the features that really has to be heard to be believed, as your favourite film or music can take on a new dimension of colour and detail when heard through a properly set up system. We’ll walk you through the process of setting up surround sound on your computer. Although there will be some variations depending on which system you’re setting up, there are some general rules that apply. If you'd like to get surround sound set up on your TV as well, we have a guide for that too! First things first, if you’re going to use a surround sound setup on your PC, you’re going to need a sound card. It’s not particularly likely that your PC has a surround sound enabled card by default so you’ll have to check. 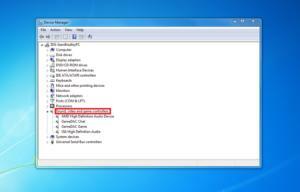 Search for your Device Manager on your computer, open it up and have a look under the ‘Sound, video and game controllers’ arrow. If you have a sound card, it will be displayed here. You can then check the model online to see what, if any, surround sound capabilities it has. If you don’t have one then you’ll have to buy either an internal sound card (one that sits inside your computer in a PCI-E slot), or the easier alternative of getting yourself an external soundcard which you can just plug into your USB port. The sound card you need will depend on which surround sound system you’ve decided to go with, as not every card will support 5.1 or even 7.1 surround sound. A great example of an external sound card with 7.1 capabilities is the CSL – USB 7.1 8-channel external sound card. This comes with the ability to serve up to 8 speakers, at a very reasonable price too. Once you’ve got yourself a sound card that’s appropriate for your set up, you can think about the surround sound system that you’d like to use. The Logitech Z906 Stereo Speakers with 5.1 surround sound are a great option here, as a good mix of sound and build quality from Logitech that had a great reputation for hardware of all kinds. It’s important to note that the installation instructions will differ with each surround sound system, so make sure you ready them carefully when setting up. The instructions will also include a description of how to set up the positioning of your speakers to ensure you get the full experience from your system. On your PC, head into your Sound options by right clicking on the speaker at the bottom-right of your screen in the system tray, then go into your Playback devices. 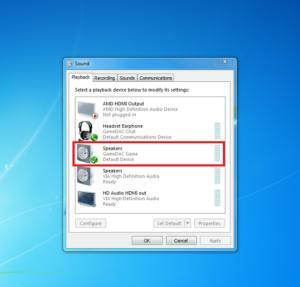 You’ll want to make sure your ‘Speakers’ are set as default when using your surround sound set up (Right click on them in the Playback Window, and hit ‘Set as Default’) and run through the Configure option at least once, to let your PC know how many speakers you’re working with. Realtek Audio HD Manager is common integrated sounds manager, and features some useful options for your surround sound system as well, everything from bass management to loudness equalisation. Room correction is especially useful; as it will auto configure your sound system so you won’t have to worry about spending hours finding the exact right position for your satellite speakers at the back.